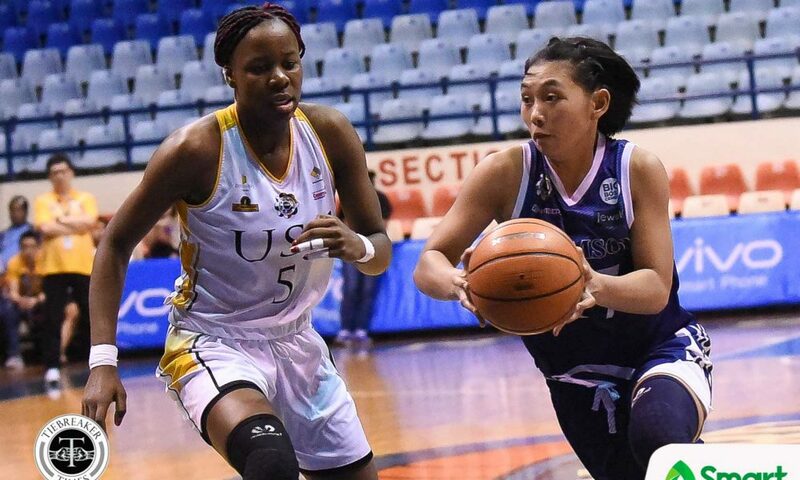 Needing to pick up this win to boost their Final Four hopes, the Adamson University Lady Falcons utilized their speed to stun the University of Santo Tomas Growling Tigresses, taking a 76-72 win, Saturday morning at the Ynares Center in Antipolo City. 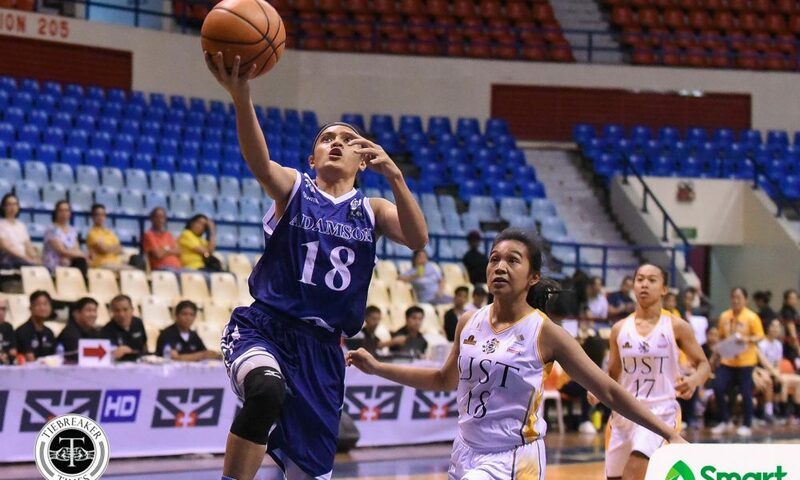 It was a pivotal win for the Lady Falcons, as they now rise to solo third with a 7-4 record. 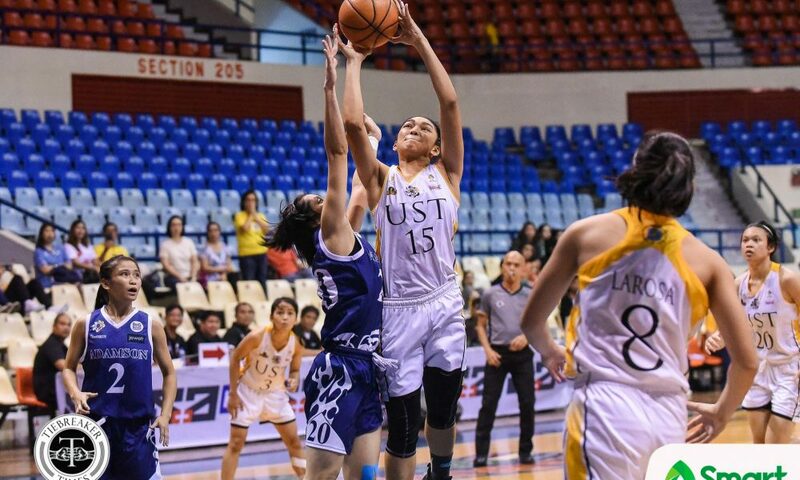 Moreover, they dropped the Growling Tigresses – who beat them in the first round, 85-55, last September 26 – to a 6-5 slate in the tight UAAP Season 81 Women’s Basketball Tournament race. 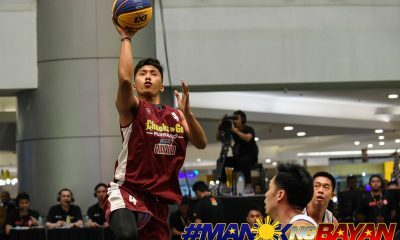 “Itong panalo na ito ang magiging motivation namin dahil kami ang David dito. 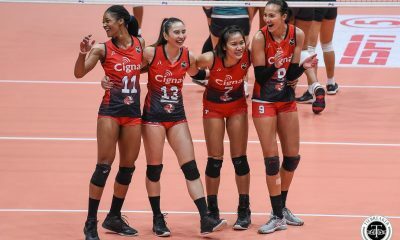 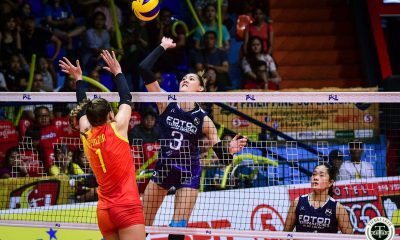 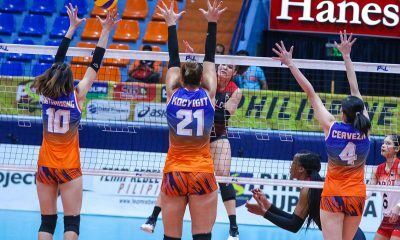 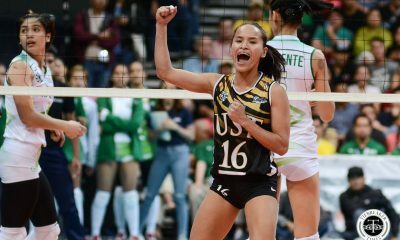 Win or lose, but as long as we are glorifying the name of the Lord, hindi niya tayo papabayaan,” said first-year Lady Falcons head coach Ewon Arayi. 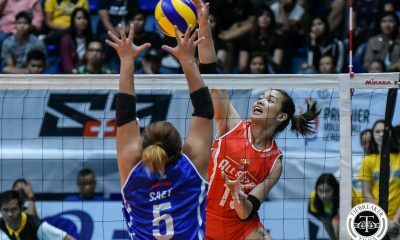 Moreover, it was a special win for the Lady Falcons as their mentor is about to celebrate her 33rd birthday on Monday. 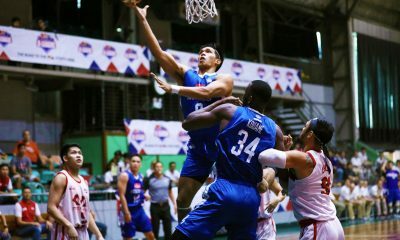 “Ito ang birthday na hindi ko makakalimutan sa buong buhay ko,” beamed the Adamson legend. 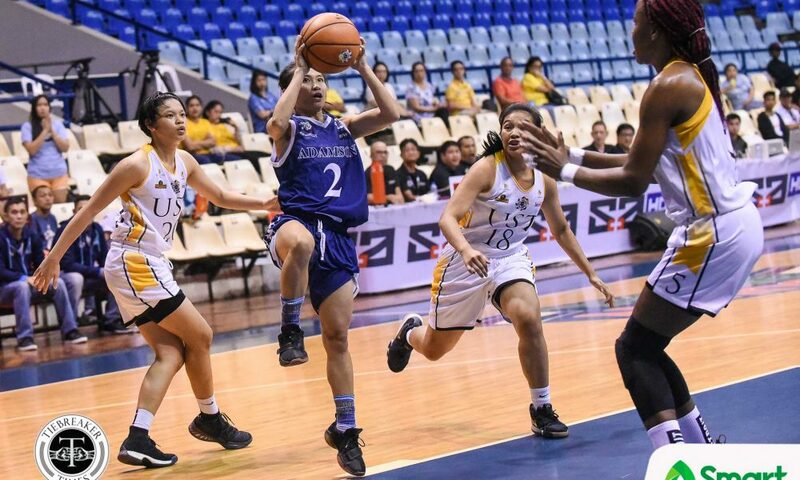 And it was a perfect present for Arayi, as the Lady Falcons followed their plan of starting strong, leading by as much as 17 points, 23-6, late in the opening frame. 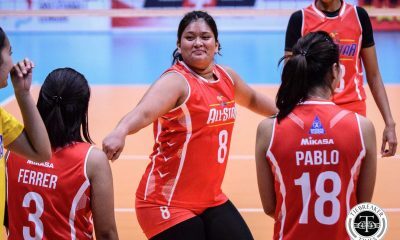 “Unang-una nagpapasalamat ako sa Panginoon. 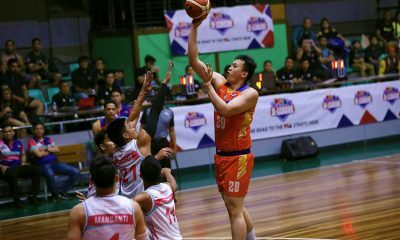 Yung game plan namin nung first quarter nasunod pero nung second quarter nagkanya-kanya kaya nung halftime sabi ko sa kanila, hindi tayo mananalo kapag hindi kayo dedepensa. 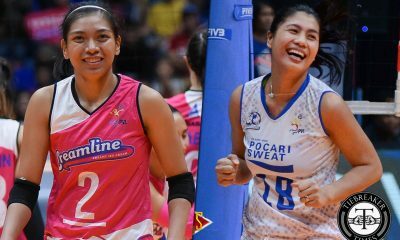 Ginawa ng mga bata lahat ng kaya nila,” shared Arayi. 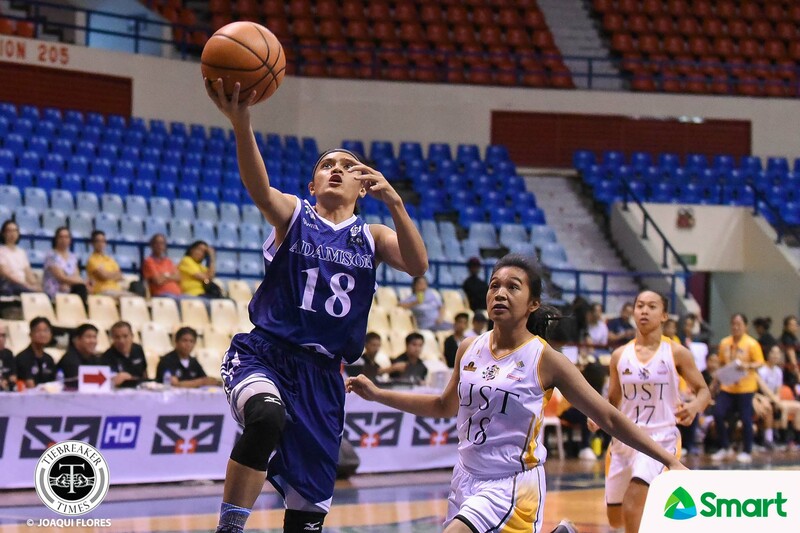 The Growling Tigresses stormed back with a huge 25-8 second quarter run to turn the game into a contest. 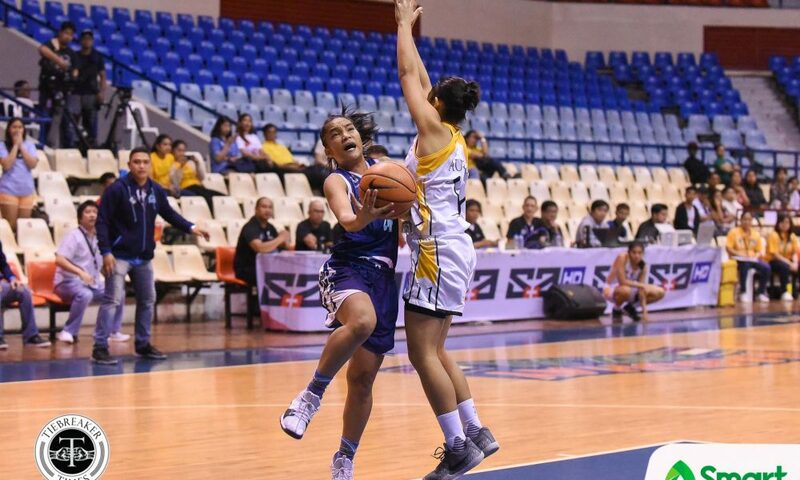 A triple by Tin Capalit with 2:19 left gave the Growling Tigresses a 72-70 lead. 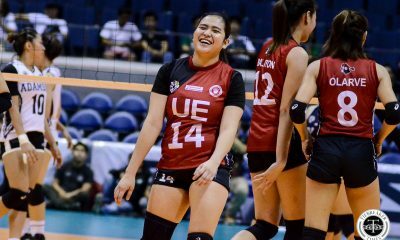 But Kristeena Camacho would answer right back 14 seconds later to knot things up. 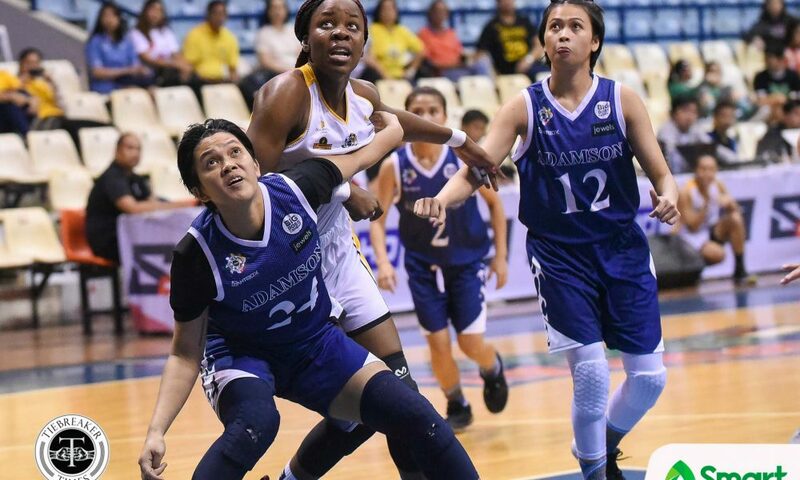 Though Grace Irebu would gobble up offensive rebounds late, as the Lady Falcons clogged the lane, forcing the Camroonian student-athlete to miss all of her four attempts in the final two minutes. 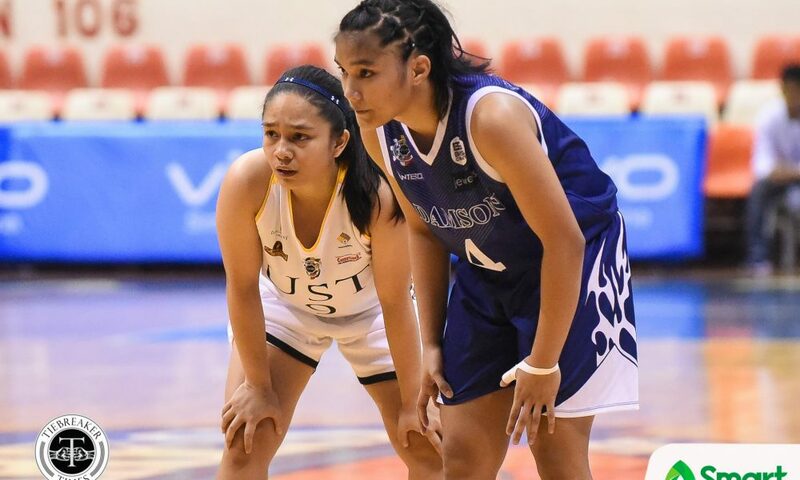 Free throws by Mar Prado and Jamie Alcoy sealed the win for Adamson. 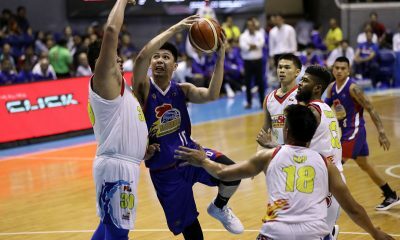 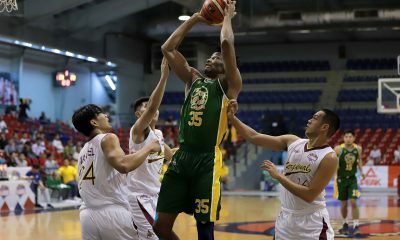 Prado tallied 20 points and 12 rebounds, while Alcoy added 18 markers. 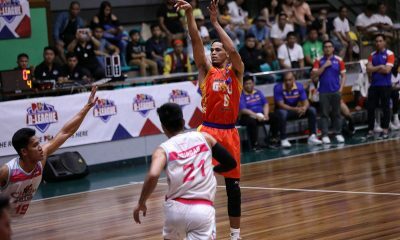 Camacho chipped in 14 points as well. 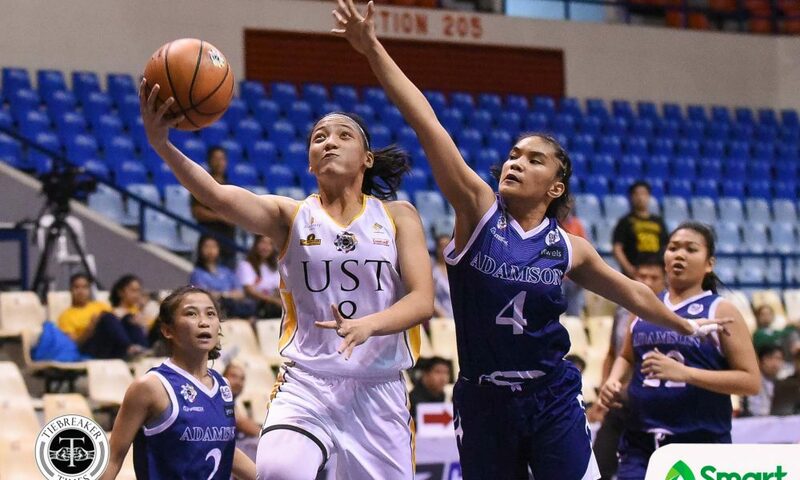 Though UST were able to greatly out-rebound Adamson, 61-35, the Lady Falcons were able to force the Tigresses to commit 27 turnovers that led to 26 points. 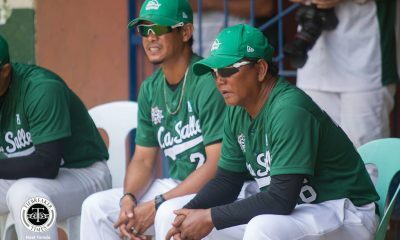 “Sabi ko nga sa kanila, magtiwala sila sa proseso kasi kaming mga coaches inaaral naman namin ito. 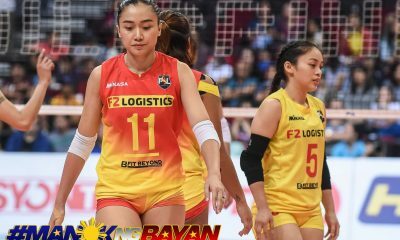 Sabi ko nga, hindi kami nagkulang. 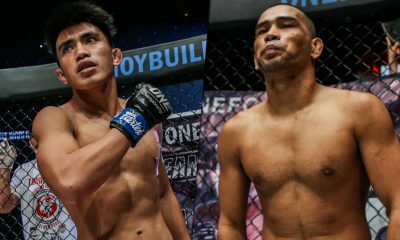 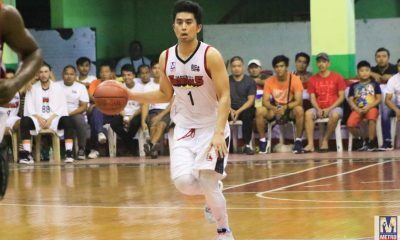 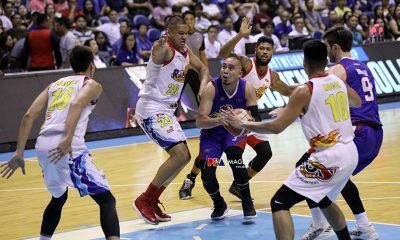 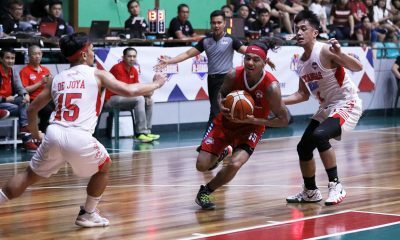 Pinaghandaan talaga namin ito dahil aside from NU, yung team na ito ay isa sa pinakamalakas,” said Arayi. 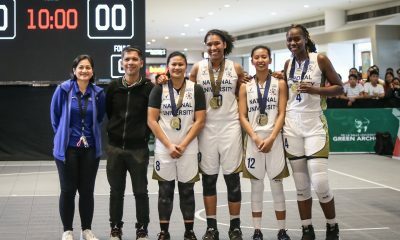 Three Tigresses finished with double-doubles, with Sai Larosa tallying 24 points and 13 rebounds; Irebu finishing with 21 points, 25 rebounds, and four blocks; and Reynalyn Ferrer notching 11 points and 13 rebounds. 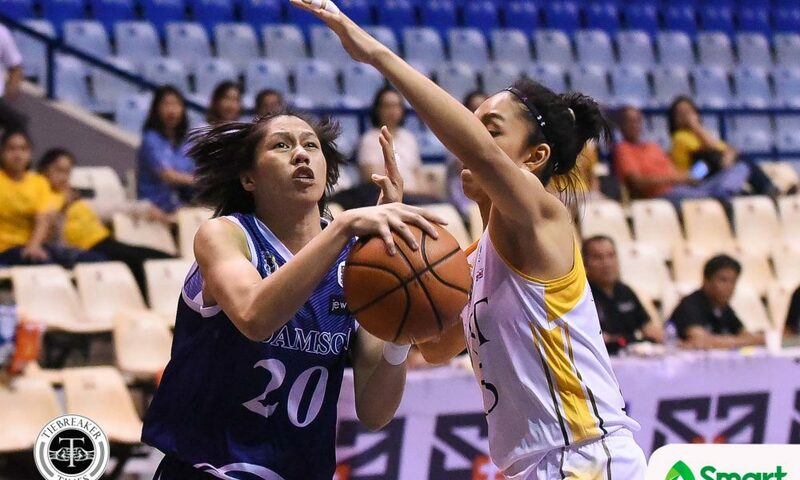 Adamson look to make it three in a row when they face the De La Salle University Lady Archers on Wednesday, November 7, at 8:00am. 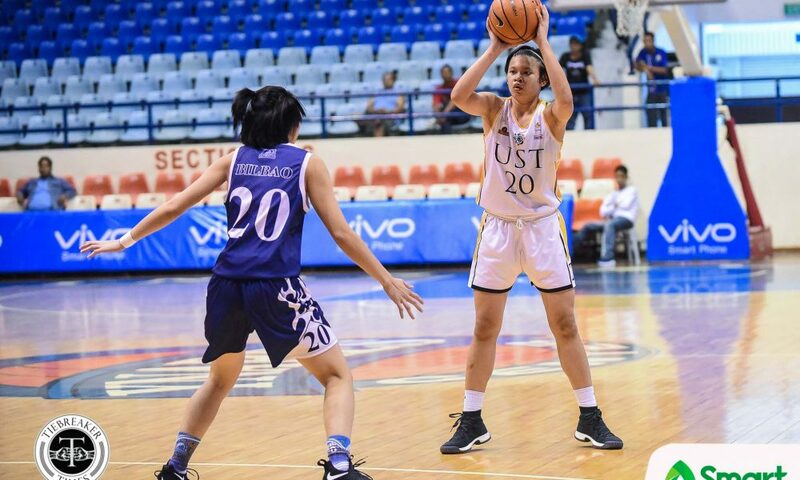 On the other hand, UST hope to snap their skid on the same day against the Ateneo de Manila University Lady Eagles at the SMART Araneta Coliseum. 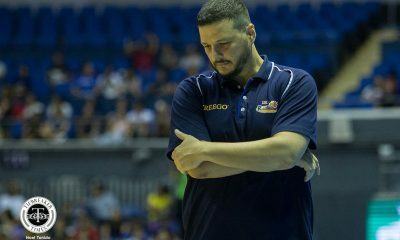 AdU (76) –– Prado 20, Alcoy 18, Camacho 14, Bilbao 8, Cacho 8, Rosario 4, Araja 3, Cabug 1, Razalo 0, Tandaan 0. 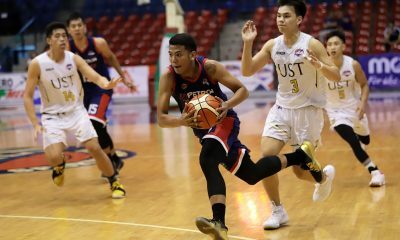 UST (72) –– Larosa 24, Irebu 21, Ferrer 11, Capilit 8, Sangalang 5, Tacatac 3, Magat 1, Aujero 0, Gonzales 0, Rivera 0, Portillo 0.